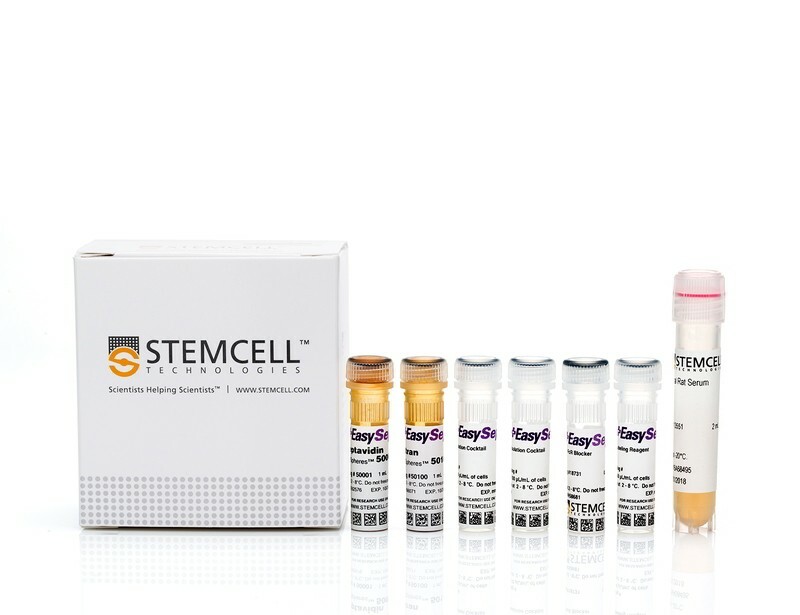 The CD4+ CD25+ Regulatory T Cell Isolation Kit, mouse was developed for the isolation of CD4+ CD25+ regulatory T cells (Treg) from single-cell suspensions of mouse spleen and lymph nodes. The isolation is performed in a fast two-step procedure. The CD4+ CD25+ Regulatory T Cell Isolation Kit was developed for the isolation of CD4+ CD25+ cells from human PBMCs. The isolation is performed in a two-step procedure. MACSxpress® Whole Blood Treg Isolation Kit has been developed for the fast isolation of regulatory T cells (Tregs) from up to 30 mL of freshly drawn anticoagulated whole blood without density gradient centrifugation. The isolation of CD4+ CD25+ Treg cells is performed with only one labeling step in a simple, fast two-step separation procedure. The CD4+ CD25+ CD127dim/– Regulatory T Cell Isolation Kit II was developed for the isolation of CD4+ CD25+ CD127dim/– Treg cells from human PBMCs. The isolation is performed in a two-step procedure. 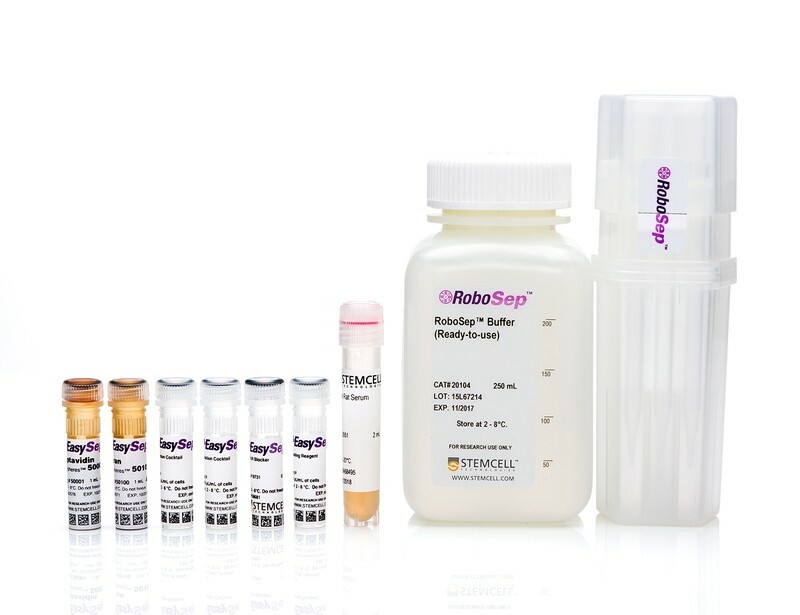 description: EasySep™ Mouse CD4+CD25+ Regulatory T Cell Isolation Kit II isolates Tregs by first enriching CD4+ T cells followed by positively-selecting CD25+ cells.